When you stop to think about it, radio-controlled drones equipped with video cameras have the potential to help find lots of precious metals. If you do a little hunting online, you will discover that the idea is really catching on. Some metal hunters have actually attached metal detectors to their drones – a really good idea that doesn’t seem to work too well yet because metal detectors don’t function from high altitudes. When a drone has to basically skim the surface of the earth with a detector hanging from it, that doesn’t provide a big advantage over walking around with a handheld detector. But other metal hunters report that they are having luck finding metals in some pretty interesting ways. Some gold hunters are already using drones to find gold and other precious metals. Read our post to find out if a drone makes sense for you. Credit: goce/istock. Treasure hunters are using this approach in relatively barren areas like deserts or open fields with sparse vegetation. They’re flying drones over those areas and either finding old buildings or spotting the foundations of old structures that have been covered up by sand or plants. They then move in with metal detectors or digging tools and dig up gold and other metals. Here’s a drone strategy for you to try. If you’ve discovered a promising area to explore – like an old cemetery or industrial area – your drone can zoom around it and help you pinpoint areas that would be good to check out with a handheld metal detector or maybe just a shovel and trowel. Old walls around cemeteries, for example, are often good areas to locate and investigate, because that’s where people in years past were most likely to lose coins, watches or other personal items. This approach is kind of a long shot, since you can only find shiny items that are lying on the surface. But if you have a drone that is equipped with a good-quality camera, you might turn up some items made of gold or gold alloys. What Kind of Drone Should You Consider Buying? A small and relatively inexpensive drone that costs $500 or should be good for searching small areas like parks or graveyards. For example, the DJI Phantom 3 Standard Quadcopter Drone, available from amazon.com for about $400, will do the job. If you want to send a drone out for more extensive exploring over larger areas, plan to spend more. For example, a DJI Phantom 3 Professional Quadcopter kit that comes with an extra battery, a carrying case and other extras, is available on amazon.com for about $900. And if you’re ready to take the jump and commit to a lot of drone-based hunting, you can go even a bit further and invest about $3,000 in a drone like the DJI Inspire. How Is Your Drone Going to Work? Here’s a video that does a good job of explaining how drones work and what they cost. Can you Get in Trouble for Using a Drone? Yes, you can. For example, you wouldn’t want to fly a drone near the White House in Washington or around other government buildings unless you’re eager to make the acquaintance of friendly law enforcement officers. You also can get in trouble for flying drones over sports stadiums and over busy city streets. But since you’re not going to be looking for precious metals in those locations, you should be okay. 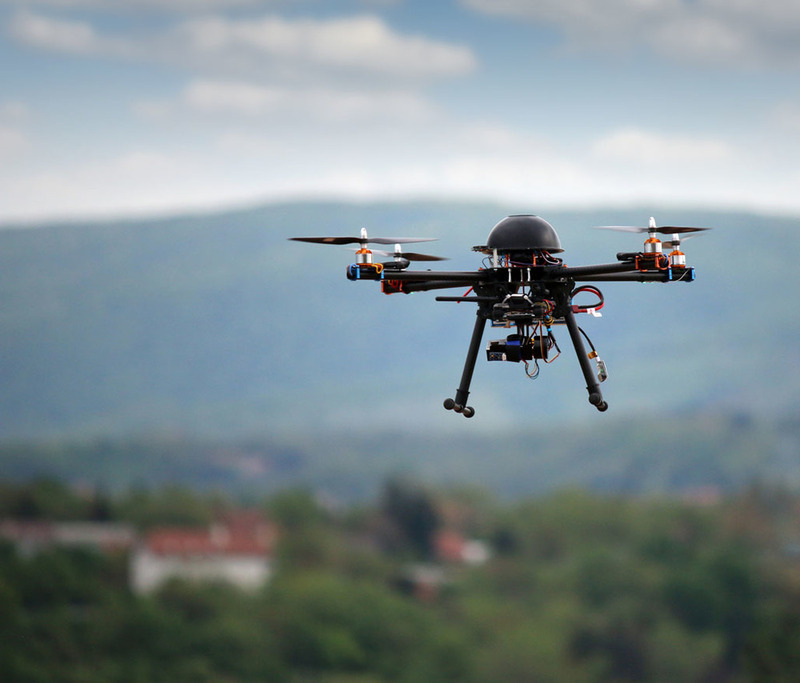 Another consideration is that you could get in trouble for flying a drone over private property like churchyards or company-owned industrial sites. But if you use a little common sense, you should be able to fly a drone in a lot of different settings and – hopefully – return home after a day of droning with a nice packet of gold and other metal items you have found. When you find your treasures, call us at 800-426-2344 and have your gold tested. If you mention this blog, you may qualify for complimentary or discounted shipping costs when you send them to us. How Much Gold Is Hiding in Cemeteries and Burial Sites?